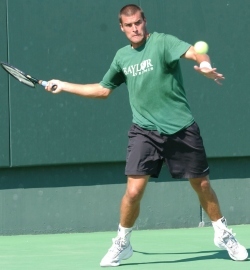 On the men's side, Baylor's Benedikt Dorsch (above) became the first player from that school to capture the Indoors title. Also making it a first for their school were doubles winners (and identical twins) Richard and William Barker of Rice. 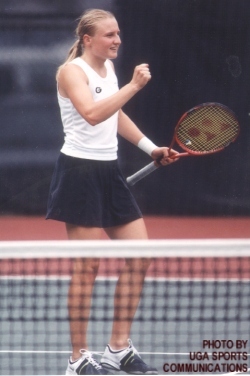 Georgia's Agata Cioroch (above) did not lose a set on her way to the women's singles title. Jenny Kuhn and Julie Smekodub, both freshman, were the first doubles winners from Tulane.